Hidden gem that offers 185km doorstep skiing. Ssshhh! Part of the Serre Chavalier resort but less busy! One mountain enough for the week in Quebec! Our Resorts: Unique US hospitality, everyone speaking English and a strict alcohol law makes US skiing a winner! The largest ski area in New Hampshire - extensive and fun ! Our Resorts: Large snowfalls, dedicated resorts and pistes far from other school groups...what's not to like ? What makes us truly different? "I've never done a ski trip before!" You will be dealing with other teachers when you chat with us. We will guide you each step of the way. 321ski are also the only company able to provide professional teacher trip planning documents and risk assessments; we've recently been told that this'll save you around 9 hours of admin. "I don't know where to go!" That's fine. Any of our advisors will be able to identify a few decent options based upon your answers and their own experiences as a teacher leading the same ski trips to the same destinations. Just give us a call! "I'm wary of taking a trip abroad!" Rest assured that every eventuality has been carefully risk-assessed with several contingency options put in place. Safety is our no.1 - this'll never change - such as only employing locally-living ski instructors that know the mountain in all weathers to insisting upon high quality ski equipment. Congratulations Marmot Basin, Jasper, Canada! School Ski Trips to Europe, USA and Canada"Designed by Teachers"
321ski are different as our school ski trips are based upon professional teaching standards, due to our experiences on these same trips as fellow teachers. All of our staff have visited our resorts and we have offered great value for years as a school ski trip company. This means we know what we are talking about when you contact us, and schools trust us with returning year on year. "You can certainly tell that most of them have been teachers. Small enough to care but large enough to have clout. Can’t recommend them enough - as a teacher with over 20 ski-trips experience"
"...thank you for a fantastic ski trip to Canada. The organisation, personalisation and care of 321 ski was second to none and we had a fantastic time." Our school ski trips are based upon our own experiences as fellow teachers. Our professional teacher risk assessments and years of experience allow us to advise and cater for any school, unique as you are. We are a family business so we guarantee to offer your school the personal service you won't find elsewhere. Despite others' promises, this is never possible in large multi-staffed companies. We book you into a hotel from the outset. We don't double-book and we carry through with our promises. 321ski are proud to be considered expert school ski trip specialists for Italy. We are great fans of the characteristically Italian high quality skiing and extended snow sure seasons. 321ski specialises in the most snow sure areas of Italy and the majority of our resorts and hotels offer doorstep or 'ski in and ski out'. With this in mind our Italian programme provides excellent safeguarding options. We get consistent excellent feedback from our 321ski school groups returning from Italy, and many of our schools re-book within weeks to return. 321ski are delighted to offer schools the highest Austrian resorts which provide a diverse range of skiing - both on glaciers and below the treeline. With relatively short transfer times, Austria remains a popular destination for many of our 321ski loyal schools. Austria also provides an array of evening activites taht are suitable for all pupils' age ranges. Our hotels are all in traditional Austrian mountain villages that are close to (if not on...) the slopes. Christmas markets and our established Austrian evening activities packages will further enrich your Austrian school ski trip. 321ski provides schools with both the high profile ski resorts, as well as the less well known. With the majority of our 321ski French resorts being purpose built you can be sure of a high quality ski and evening activity experience. All of our French resorts offer skiing at February and Easter and most of our hotels are doorstep to the piste. 321ski have established solid relationships with our French hoteliers in resort, and we are proud to be able to provide bespoke packages to suit any size or budget. 321ski are a fan of the good value and high ski resorts that Andorra offers. 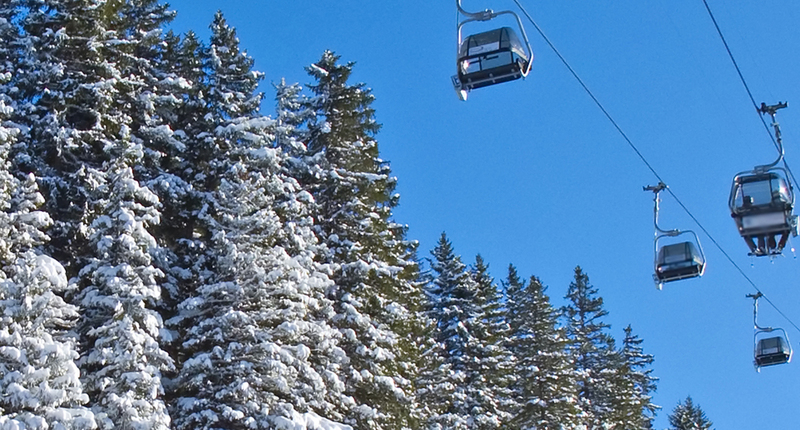 Huge investment over the last 5 years have resulted in modern and fast lifts interlinking resorts. The largest of these resorts is 93km of Vallnord. With Andorra being a tax haven the area is also great value for money. A great record of sunshine couples with a long ski season for Andorra. Enjoy the local Catalan culture and scenery by choosing Andorra. Spain now offers some of the most modern ski resorts in some of the highest ski areas in Europe. Often overlooked, Spain boasts long ski seasons as well as the best European weather for our 321ski school groups. With 321ski's most extensive Spanish resort being over 130km in length and 2500m in height, our schools return with consistent excellent feedback about the quality of snow and extent of skiing. With 'ski in and ski out', our Spanish resorts continue to be high up on the list of those trip leaders 'in the know', and of course the other benefit of the Spanish resorts being under-touristed is that the pistes are less busy than elsewhere. That means the pistes are safer. So what's not to like...? 321ski are proud to be working closely with both East and West Coast ski resorts in USA. Although it obviously takes longer for our 321ski groups to travel to resort, the US resorts do hold advantages over Europe. The English ski instructors, potential to do a stop-over en route and the older drinking laws makes the US an attractive proposition. No language barriers with modern, purpose built hotels and resorts makes the US a real winner. All of 321ski's US resorts are chosen to provide that little bit different to the next. 321ski is proud of our Canadian affiliations. The only school ski trip company to have permanent staff based in Vancouver, our Canadian programme is both extensive and market leading. This makes us the Canadian experts. Guaranteed snowfall, dramatic scenery and no language barriers makes Canada an exclusive choice. Being the home of the Winter Olympics 2010, heavy ski investment has transformed the lifts and infrastructore for many of the Canadian resorts. The 321ski schools usually combine the trip with a night in Vancouver and, with permanent staff locally, we couldn't think of anything better!